Warning: Disconnect power to machine and power to be supplied to inverter before doing any work! 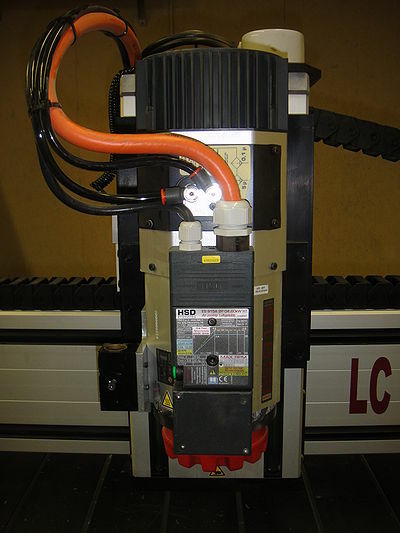 See the HSD ISO Toolchanger wiring page. 1/2" collets, and collet nut. 3 tool holders, 5 collets: 1/16", 1/8", 1/4", 3/8", 1/2". tool length offsets and software controlled spindle speed controller. Also available in 220VAC, single phase or 380-440VAC 3 phase. Uses ISO 30 tool holders with ER32 collets. Download the HSD Installation, Operation, and Maintenance Manual.